Pipe line flushing, or jetting, requires a lot of special equipment all rolled into one truck. The truck has a large hose reel with 500 feet of stiff plastic hose mounted at the front bumper. Different size and style nozzles are attached to this hose to travel inside the pipe to flush it clean. There are two water pumps. One high-volume water pump supplies 80 gallons per minute of water through that hose and nozzle to flush out silt and debris. The other water pump develops over 2000 psi water pressure for use with a dig wand to cut tree roots which may have grown into and clogged the pipe. The truck also has a blower which generates powerful vacuum so that the truck can vacuum the dislodged silt and gravel into its large debris tank. This material can then be disposed of properly at a nearby landfill. Our cities and neighborhoods have a huge underground network of storm water pipe designed to channel rain water out of the streets and out of low lying places and eventually back into natural waterways. 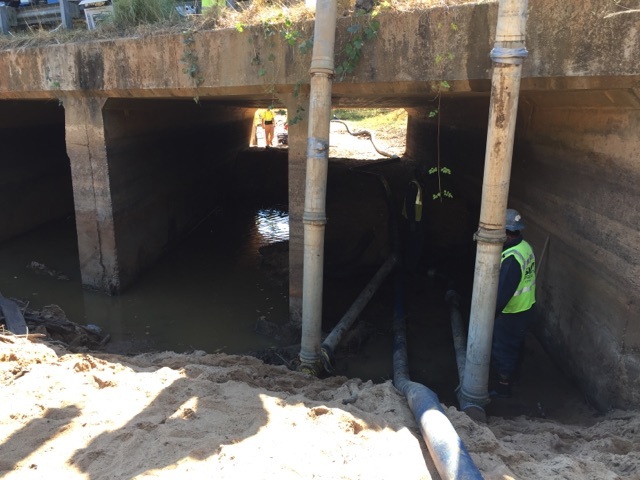 This pipe needs periodic cleaning to keep our streets from flooding and prevent water damage to businesses and dwellings. 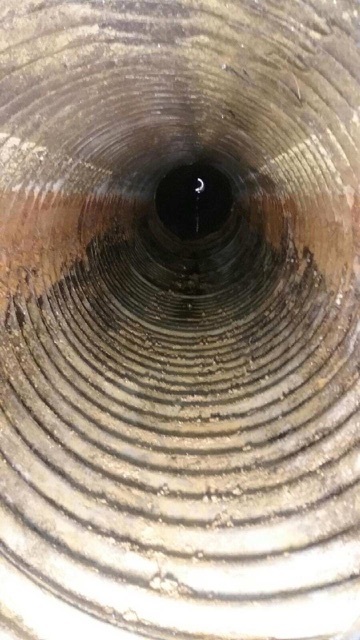 High pressure hydro cleaning coupled with tremendous air suction movement is the most effective way to clear blockage or remove sediment from within a pipeline. Southern Hydro Vac has the latest in pipe line flushing equipment and technology to be able to accomplish these periodic cleanings. 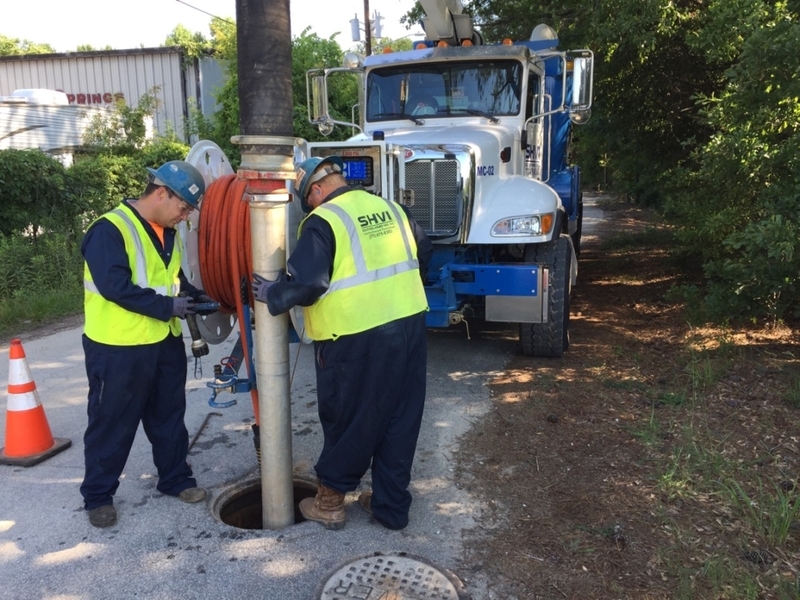 Southern Hydro Vac’s employees have experience cleaning pipe from 120-inch diameter down to 6-inch diameter. We can also vacuum the sand and silt from culvert pipe underneath the road. Other clogging which has resulted from grease, tissue paper or other debris can be removed using a variety of nozzle types and tremendous air suction movement. 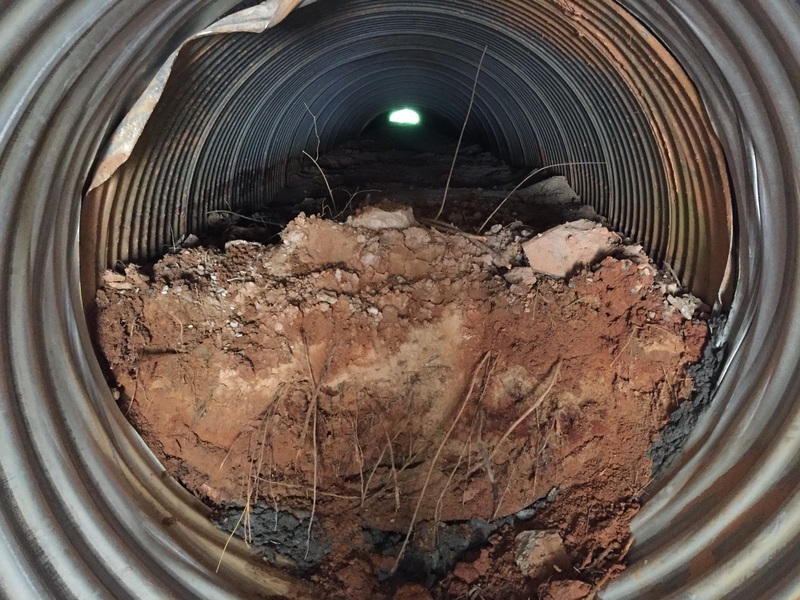 And we are qualified to perform final cleaning of newly installed pipe to allow it to connect into the county’s storm water system.